So after updating my vSphere 6 home lab to Update 1 I noticed that when I woke this morning that all my Veeam jobs had failed over night…bugger. After digging around in the logs (C:ProgramDataVeeamBackup) I discovered the following errors. 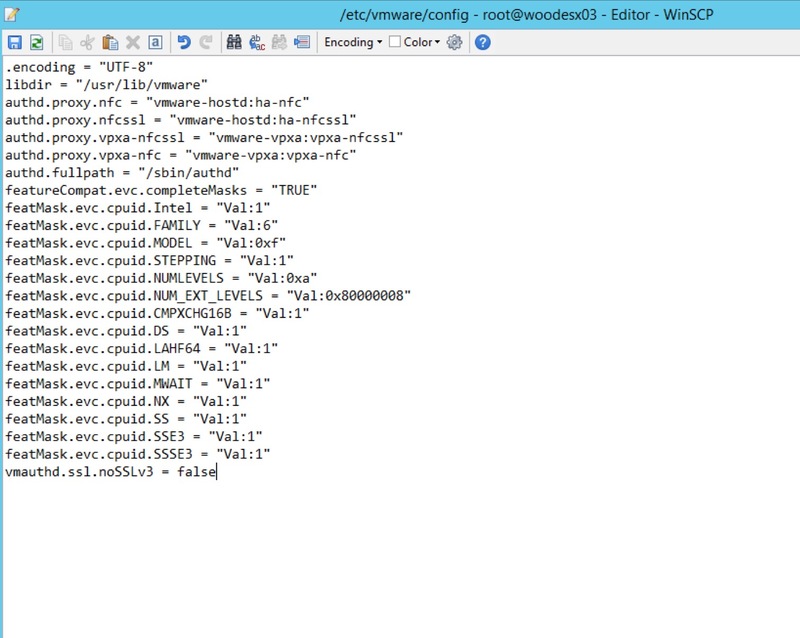 So I edited the /etc/vmware/config file with WinSCP and added in the vmauthd.ssl.noSSLv3 = false at the end of the file. Once the service has been restarted I repeated this on the remaining on hosts in the cluster, I was then able to successfully re-run the Veeam jobs. So to summarise Gostev on the Veeam forums posted saying the following on Monday. “As far as the original issue that created this topic, the research has now been completed. SSL usage seems to be isolated to NFC API, and is caused by a bug in parsing the list of supported SSL/TLS protocol versions on our side. Despite TLS was added at some point, this bug went unnoticed, as things continued to work normally over SSL – until now. It’s good to see Veeam reacting so quickly to this as it appears to have even caught VMware themselves off guard as it also affected View Composer connectivity as per the above VMware KB. 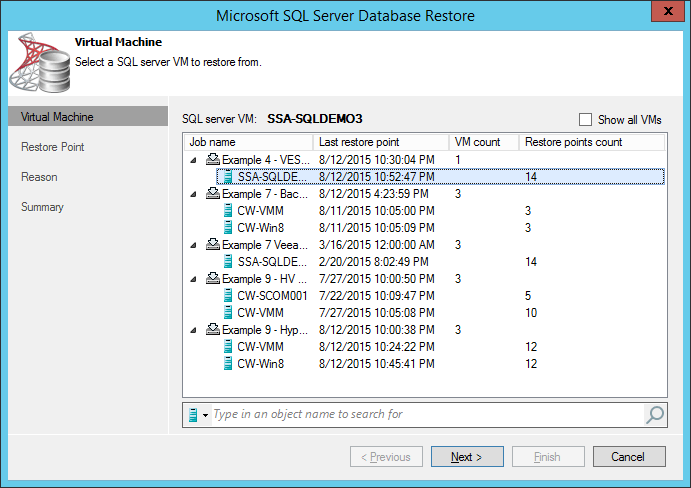 A great article on how to restore a SQL server has just been published by Veeam take a look below.